There are two camps of people in the IT world: those that will explain the benefits of ITIL all day long and those that find ITIL doesn’t work and think it’s a bureaucratic waste of time. But upon further investigation, we’ve realized something. It’s possible so many people dislike ITIL because organizations aren’t really implementing ITIL. Or excuse me, they’re not implementing “IT Service Management based on ITIL.” Whatever you want to call it, people approach the use of this framework wrong and it costs them a lot. Let’s talk about why ITIL won’t work for your business. 1. You treat ITIL as gospel. ITIL isn’t a cookbook. It’s not the gospel. It’s guidance and a framework of best practices. But what happens in certain organizations is that some manager on some level gets really excited about the idea of ITIL and then tries to implement every guideline in the book. This approach will never work! ITIL was originally created by the British government’s Central Computer and Telecommunications agency in the 1980s. It was never meant to become a proprietary product that would be commercialized and sold. The original project was supposed to gather best practices to assist with what the government saw as increasing dependence on IT combined with a lack of standard practices that resulted in increased costs and errors. ITIL spread to private corporations because it works. But not in the way many organizations think it does. ITIL works because it includes best practices but it’s just a framework. It doesn’t have to be followed step by step. The best way to get ITIL to work in your business is to adopt the guidelines and practices that make sense for your business and forget the rest. 2. You ignore the business case or business inclusion. If you want to utilize ITIL successfully, learn how to explain it in a way that senior leaders understand. They won’t speak in ITIL jargon, so you have to recognize how it can benefit the business and be able to articulate that – in business terms. If you are able to do so successfully, you will get support and investment from senior leaders. Including business objectives and understanding the business value of IT will help your team and your organization to adopt ITIL so that it helps to facilitate business outcomes, which is the goal! 3. You don’t create a roadmap for adopting and adapting ITIL. ITSM and ITIL are not about implementing processes for process sake. Too many organizations get so focused on implementing processes that they ignore the overall goal for why they needed those processes. The goal is to deliver services that provide value for the business. 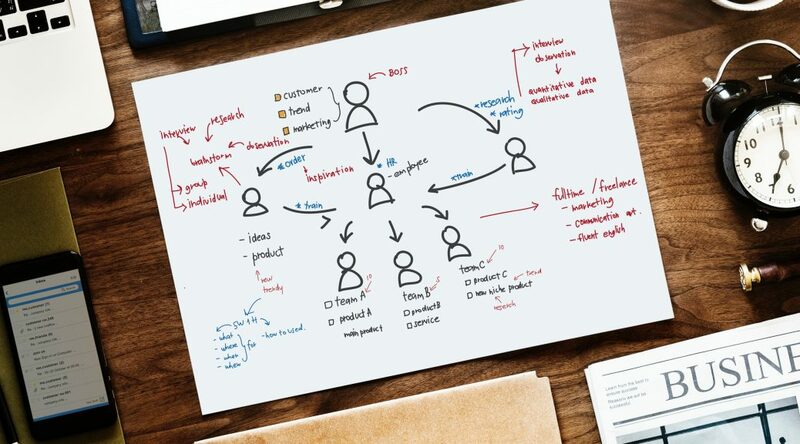 Creating a roadmap and connecting it to business value will help you adopt the right ITIL practices so that it supports the services and doesn’t just implement processes for the sake of implementing processes. If you’re too rigid and you try to implement everything all at once for no real reason other than you think you should, your team will resist. That’s why so many IT professionals think ITIL is too bureaucratic. But if you haphazardly throw certain approaches into certain projects, then no one will be able to recognize how ITIL is improving your workflow. A step by step roadmap gives you something to measure against as you move forward with adapting ITIL. There are many ITIL Foundation training classes and many IT professionals receive their ITIL certification. But those classes often fail their students – many students become ITIL certified professionals but have absolutely no idea how to apply any ITIL concepts. The truth is, anyone can read a student guide and learn ITIL concepts but that isn’t going to get them or their organization very far. Like we’ve said, ITIL is guidance not gospel. You need to understand how it can impact and fit into your organization. The only way to do that is to invest in ITIL foundation class with an experienced instructor who can show students how to apply ITIL to their organization. Similarly, many organizations make the mistake of adapting ITIL without any qualified, expert guidance. This can work for a little while but undoubtedly, whoever is leading the charge is going to become distracted with day-to-day operations. A qualified consultant acts a guide to plot a course to ITIL adoption. They can help avoid common mistakes and increase adoption speed. If there are many training classes, there are even more tools designed to help adopt ITIL and ITSM into organizations. But a tool isn’t going to understand the value of IT or how IT contributes to business outcomes. A tool is not going to be able to understand the needs of the business. A tool is just what it’s described as, a device used to carry out a particular function. Tools can help you adopt ITIL but it certainly is not going to do all the work for you. When Will ITIL Work For A Business? There’s no really no such thing as ITIL implementation. You can only adopt and adapt ITIL to your organization. You can do this with a clear implementation roadmap, a well-formed business case for ITSM , and getting training from a good instructor. If you want to adopt ITIL the right way and avoid wasting time, money and energy, then learn more about ITIL at our upcoming ITIL Foundation Class this October. Or contact us to learn about ITSM adoption and roadmap planning services. Quite an insightful article on the why and why not of how ITIL will work for businesses..